From records of facts Management of Sony Corporation has publicly apologized to the Government of Nigeria following its play station Television commercial in early September (2009) portraying Nigeria has hideout for scammers and people of nefarious tendencies. The Managing Director of Sony, Gulf Middle East and Africa, Mr. Muira Osamo on recently led a delegation of the company to Nigeria's Minister of Information and made a public apology to the government of Nigeria and anyone the TV commercial might have offended. The step was seen to be offensive to the Nigerian government who accordingly demanded an apology from the company. Sony however responded quickly by removing the offending line from the commercial with a new one. It was recalled that the Federal Government asked cinemas in the country on Friday, September 18 to stop showing a science fiction film, District 9 which according to the Minister of Information, Professor Akunyili "denigrates the country's image." The Minister said that she had asked the makers of the film, Sony Pictures Entertainment for an apology. She also said the film clearly took a swipe at Nigerians and portrays Nigerians as cannibals, criminals, and prostitutes. "We feel very bad about this because the film clearly denigrated Nigeria's image by portraying us as if we are cannibals, we are criminals. The name our former president was clearly spelt out as the head of the criminal gang and our ladies shown like prostitutes sleeping with extra-terrestrial beings," Professor Akunyili disclosed. The Information Minister said she had strongly advised the Nigerian Film and Video Censors' Board to ask all cinemas to stop showing the film and to confiscate same from the custody of recalcitrant exhibition centres. The Malawian actor, Eugene Khumbanyiwa, who played the gang leader with the nickname of Obasanjo, also the surname of former President Olusegun Obasanjo said that it was not just Nigerians who were portrayed as villains. 2. The Government and the good people of Nigeria reject this unwarranted attack on the reputation and image of the country. 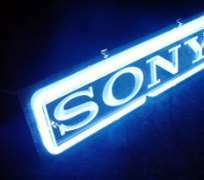 The government sees this as an attempt by Sony Corporation to undermine Nigeria's business interest around the world. 3. It is on record that Sony Corporation has operated in Nigeria since the country's independence and has enjoyed tremendous patronage from Nigerians at home and abroad. Over these years, there is no established record that the company has recorded any major incidence of scam or fraud by Nigerians that warrants its deliberate campaign against the country's image. 6. Nigeria also demands an unconditional apology from Sony Corporation for this deliberate negative campaign against the country's image and reputation. The apology must be given the same measure of publicity by Sony Corporation in all channels where the unfortunate adverts were aired. However, from available checks the Minister has performed meritoriously by projecting the interest/image of Nigeria and its citizens very well. But one thing is certain, can Nigeria really shy away from the fact that there are no fraudsters and criminal minded people in the country? Just as cases of high profile corruptions are prevalent in both the public and private sectors of the country. It would be better for the country to fix its infrastructural decay, unemployment, energy crunch (electricity, refineries, etc), insecurity, gross depreciation in human capital development, among other things; rather than wasting billions of naira on image laundry or rebranding as we currently have it. Again for the sake of accuracy and balance, some of the contents of the movie District 9 and the Sony advert, apparently portray part of the ills of Nigerian society. Although some of the visual and audio contents may appear to be offending to the likes of Nigerians who are enmeshed in genuine business and doing the country proud whether within the country or diaspora.